Excellent version of this release. No noise at all. Warm sound. Nice heavy virgin vinyl. thick and glossy. My copy sounds wonderful, and is much better than I had expected, both record, and jacket. Plays noise free. Well worth the cost. I have both the stereo Classic Records 200g audiophile and this early stereo pressing and both are truly fantastic, with depth clarity and separation. I do give this one a slight edge. Not a single review here? Huh. This pressing is really good. Sounds unbelievably good. 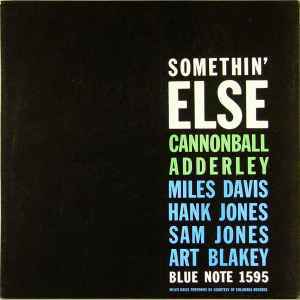 This record is the first release of the Blue Note LNJ Series. The sound is superb. If your record has a white label instead of the blue/white Blue Note Label it is a Promo Release which was not for sale. One of my favorite albums of all time. In my opinion, the best version of Love For Sale ever recorded. Sounds amazing! Clean flat pressing. Dynamic with a nice sound stage. This one was done right!